Here in Southern California we are waking up to the drizzly Marine layer in the mornings and although it burns off and gets in the 70's by noon it is starting to feel like fall. I have so enjoyed the Fall focus we've had on the Eureka Stamps Blog for the past month. This is an image that I have in my stash for a while that can be used for nearly any season or occasion! I colored it in fall colors for this card but I have used this same image colored in bright colors for birthday, get well, and Easter Cards as well! 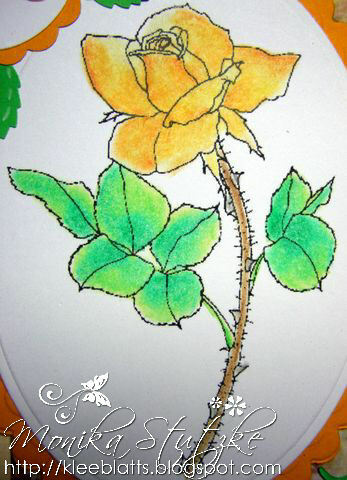 Here is my card using Flower Basket. Thanks for stopping by! I hope you have a terrific day! Painting the town Orange? I couldn't resist doing orange instead of Red. I found this cute Paint Puppy image at QKR Stampede and knew I had to play with this cutie. I thought this plaid paper seemed to work with the theme. I never make very many blue card, and always love the results when I do. Card stock from my stash-embossed circle from my pile of goodies waiting to be used. Another quick and simple design to have on hand. Thanks for joining me, won't you pop in and check out all the Dog Images available at QKR Stampede. I have enjoyed the year with QKR Stampede-hope I have inspired you to create your own projects with my designs. Autumn is on it's way and that doesn't make me too happy. I like the really warm weather and by that I mean 70s and 80s, really warm, well more like hot. We've had some early fall-like weather, but today it was beautiful and I hear it's supposed to be more summer-like for a little while. The one thing I do like about fall is the colors. I love the oranges and browns, the reds and yellows. 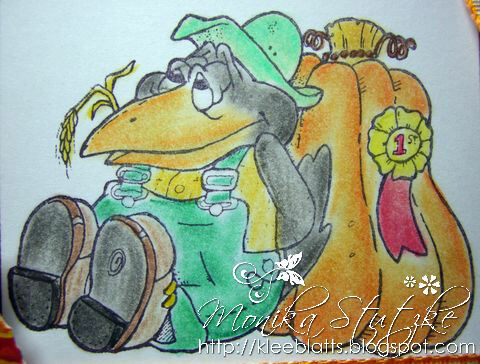 I love all the wonderful fall images that Eureka! Stamps has to offer. 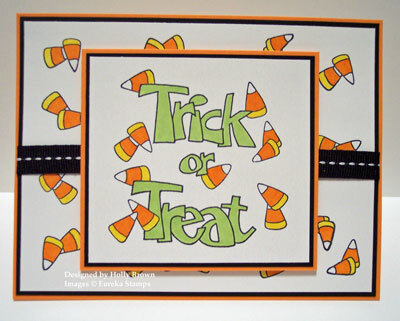 Today I'm showing you a card that I made with the "Cornstalk and Pumpkin" image (#29802)﻿ from Eureka! Stamps. I made this card while I was at a crop at My Happy Place this past weekend. My friend Jen let me play with her Copic markers and I'm telling you, I loved messing around with them. Maybe Christmas! I'll have to put them on my wish list! I have never used Copic markers before, but have seen many videos and what a joy they were to work with! Then I played with another new toy, my friend Jen's Slice! I used it to cut the word Autumn for my card. It cut so easily and is so easy to use. My birthday is coming up so I will be getting one from my kids. It's already been ordered, now I just have to tell them that is what they will be giving me. LOL! Thank you for stopping by today. I hope you'll hop on over to Eureka! Stamps and see all the wonderful fall stamps they have to offer. Leave a comment if you like and come back again soon. Hi there! Today I wanted to share a fun little box I made using the Solid Oak stamp from Biblical Impressions. I found this triangle box template in my craft room...apparently it was "hiding", and it finally popped out to be used...lol. I started by tracing, scoring, and gluing some of the sides of the box shut. I also added some eyelets to thread the twine through. Next, I used 2 different color inks to ink up the leaf. I stamped the image in one color, then "rolled" the edges of the stamp in the other color. I fussy cut them out, and layered onto the box. That is it! Super simple, but a cute little box for a fall party favor. 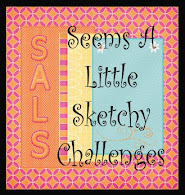 Tomorrow's Belli Challenge is all about paper piecing (shhhhhhhhh - sneak peek just for you! 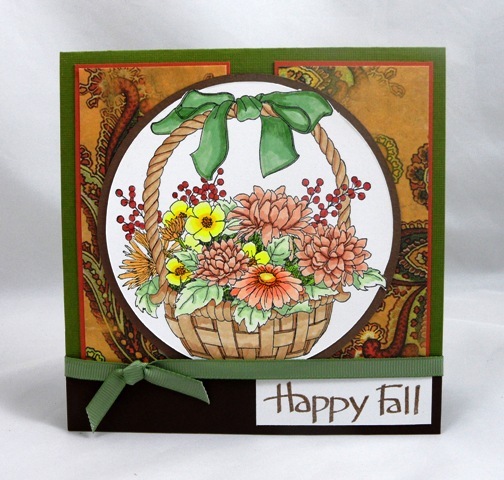 ), and I've used this gorgeous Harvest Basket from Eureka for my project. After I colored the basket with Copic markers, I paper pieced the ribbon bow and the two smaller gourds on the right of the pumpkin. in Germany we have a wonderful time for nice weather. The air is almost as beautiful as spring, yet we have already autumn. In the summer we was waiting of such weather. Unfortunately there is nothing of the nice weather when you have to work all day. Autumn is here, the time of pumpkins, too. And I love pumpkins, in almost all variants. So I've taken today the sweet image with the raven and the pumpkin. I love it. The name of the image is Prize Pumpkin and the stamp is from the Shop QKR Stampede. I colored the image with watercolor pencils and I wiped with terpentine. I just have a quick post today. It was supposed to post yesterday but I forgot to get it up. 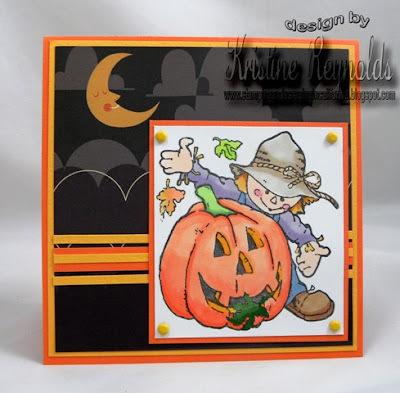 I wanted to share another quick Halloween card I made with this adorable image from QKR Stampede. I thought this Cosmo Cricket paper was perfect as is and really didn't add much more in the way of embellishments. Have a great rest of your weekend and thanks for stopping by! The background and leaves were created with Ranger alcohol inks. A Marvy black marker was used to color the very edge of the leaves. The two outside leaves are attached to the card with tape and Aleene’s tacky glue with a built up (1/2 circle from 1” punch) attached to the card for the overhang to rest on, the center green leaf is mounted on foam tape. The edge of the alcohol background panel was prepared larger than the size needed so there was room to tear the edge before cutting with a straight edge cutter. The insert leaves were punched from the left over scraps using a Martha Stewart punch. The envelope was a partial image stamped along the edge and only goes as far as what you can see in the photo. While I was coloring these Eureka Stamps I kept thinking about a little girl hanging on to her balloon. Wanted a round shape card base to make this scene. All images colored with Copics. The images were fussy cut and pop dotted to add dimension. Tree line from EK Success hand punch. Ribbon from Really Reasonable Ribbon. 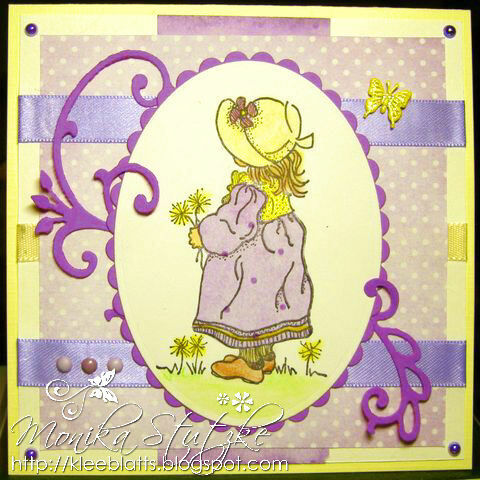 The die cut doily shape is from Cheery Lynn. 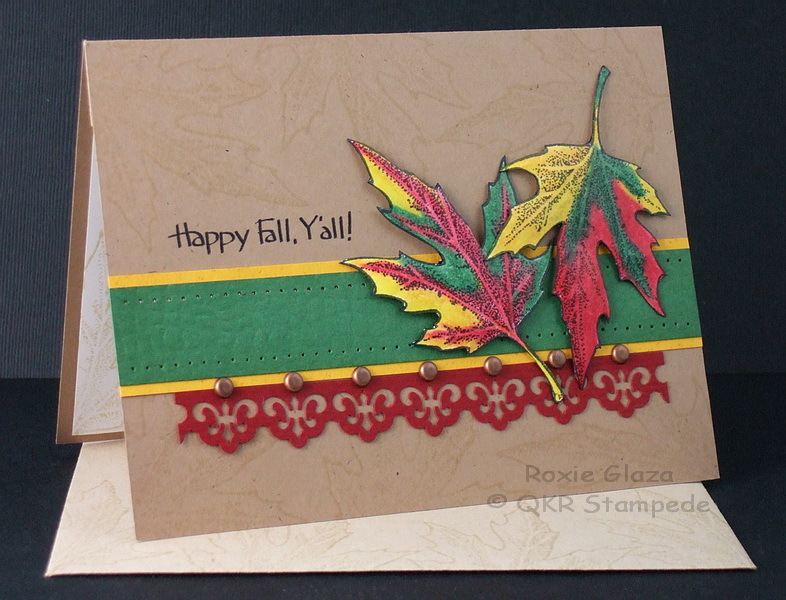 I used the leaf image from QKR Stampede to create this colorful fall card. The leaves were embossed by marking the vein lines on the front with the small metal ball stylus and when flipped over I then embossed that same line and the areas between the lines, folded paper towel was used for a cushion. I used a Marvy black marker to color the very edge of the cardstock and they are attached to the card with foam pop dots. The Tim Holtz clear ruler was used for the piercing guide on the green, that panel is also embossed using the Fiskars Leather plate and the Cuttlebug. The border is punched with EK Success Fleur de lis border punch. The stamped leaves on the card base, envelope and insert were stamped with the aid of a stamp positioner. Copic markers were used to color the image panel. To emboss the image panel which will show up best in the close up photo, I placed the cardstock panel on the embossing folder and used a metal ball stylus to rub all the open areas between the butterflies. I secured the panel to the folder with repositional tape to avoid movement. The Cuttlebug Vintage set was used to create the corner features by cutting both colors and interchanging the pieces. Tape was applied to the back so the pieces would stick when inserted and that also aided with attaching it to the card, some dots of Aleene’s tacky glue was also used. 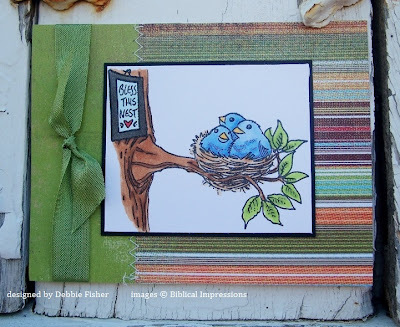 Panel used was Tim Holtz – Gridlock. QuicKutz die and Nestabilities were used for the sentiment panel and I also made use of the tiny circles from the corner die, these were attached easily with a long stick pin touched in glue then to the back of the circle which picks it up, place on the card, press down with the finger and pull away, slide into place if needed. Aleene’s Paper Glaze was applied to create a shiny finish. I stamped an extra bottom right butterfly and embossed it by debossing the outline on the front, flip it over and emboss between the debossed lines while it lies on folded paper towel for cushion. Copic markers were used to color the images. Hi there. Today I wanted to share some little lunchbox notes I made for my DDs. I used the Patchwork Star stamp from QKR Stampede on these. 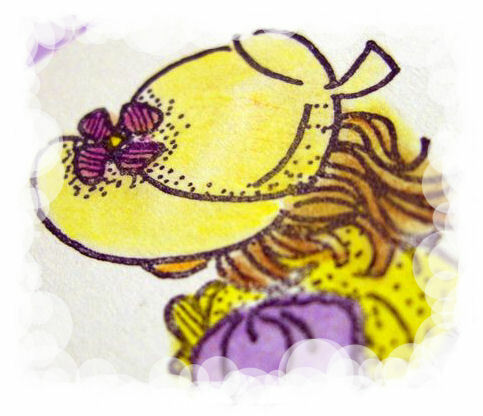 I stamped the image and colored with watercolor crayons. Then I fussy cut them out. Next I took some little pre-cut 3x3 note cards I had in my stash. I used some PP from Basic Grey, and layered onto the base. I added the star to each one, and then some words. I did a little experimenting for my words. The bottom one all the way to the left of the photo is a piece of printed vellum I found in my stash. The middle one I used stickers, and the last one I used a glue pen and gold leaf. Very simple, but I know my girls will love to open these in their lunches next week! Well that is all...have a great day! with Eureka's stamp "Small Harvest Basket". 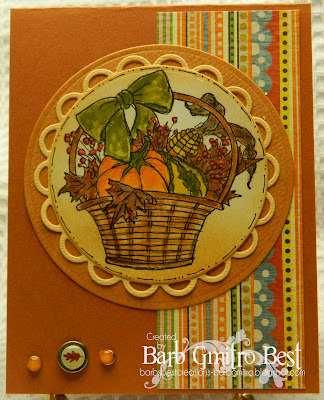 This makes a lovely fall card! I cut a circle then stamped the image in black ink. I then used Antique Linen Distress ink to antique the paper. I then watercolored with Distress inks. I finished the image by using a fine line black pen to enhance the lines. The brads are some off brand brad I had in my collection. Biblical Impressions has this Full Nest image that just seemed to call to me. I love nature and animals and what is sweeter then birds in a nest? Just a short and sweet post with a quick card design. Image colored with Copic markers and matted with card stock. I used ribbon and leaf vine from Really Reasonable Ribbon, and brads from Pizzazz Aplenty. Guess I am not ready for summer to be over yet! I have enjoyed the time playing with Biblical Impressions- hope I have shared some inspiration. Hey folks - it's Holly posting today. In less than a month and a half, Halloween will be here! Walmart and the grocery stores already have the big ol' bags of Halloween candy out for sale, and it won't be long before we see all the fun costumes that the little kids will be running around in. When I saw this cute Trick or Treat stamp in the Eureka store, I really wanted to have a candy corn background to go with it. I couldn't find any candy corn stamps, so I got a little creative. I ordered two of these Trick or Treat stamps, and I trimmed the one on the right side so I could use it as designed. For the second stamp, I cut out three of the candy corn pairs and trimmed them. I adhered them to a clear acrylic block and stamped them all over my background. Hi there. Just a quick post today. 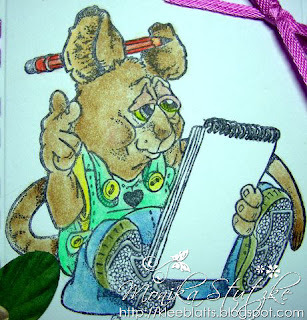 I am so far behind on everything, and I am leaving on Friday to go on a scrapbooking weekend. Which of course will be AWESOME, but I need to get other stuff done first. I just can't wait to see what kind of fun I come home to, since I am leaving daddy in charge of the 3 girls...lol. Anyway, I wanted to share a card I made using the witch balloon holder from Eureka Stamps. I stamped the witch stamp onto white CS, and then added color to her. For the balloons, I used the jack-o-lantern balloon, and some balloon eyelets. I used some fibers to be the strings. I layered onto some PP from SEI, and added some stickers for my sentiment. Well, I am off...sorry it was so short today. Have a great day! Today I want to show you a stamp, which I like very much. I've been with him a special card here. I think that one can also show several times. 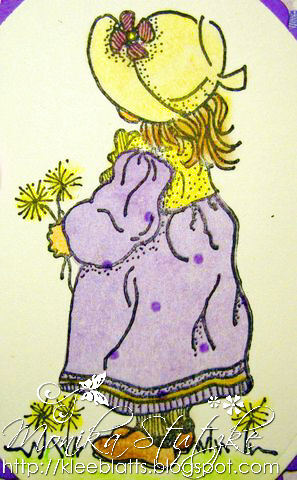 The stamps name is "Picking Dandelions". The dress of the girls I did, as I had stamped on dotted paper. This was then cut out and glued on. Can you tell I am on a Fall kick this month? Love the warm and rich colors of the season.. 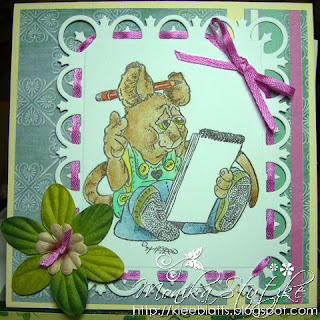 This fun Raccoon is from Eureka Stamps and such an easy image to color. I found this yummy orange ribbon and I believe it is from Really Reasonable Ribbon- most of my special ribbons are from there. This is one of those cards I put together with supplies that were just waiting on my desk to be used. That fun Spellbinder shape just fit to cut out orange dotted paper that is a packaging background. Sentiment is also from Eureka Stamps. 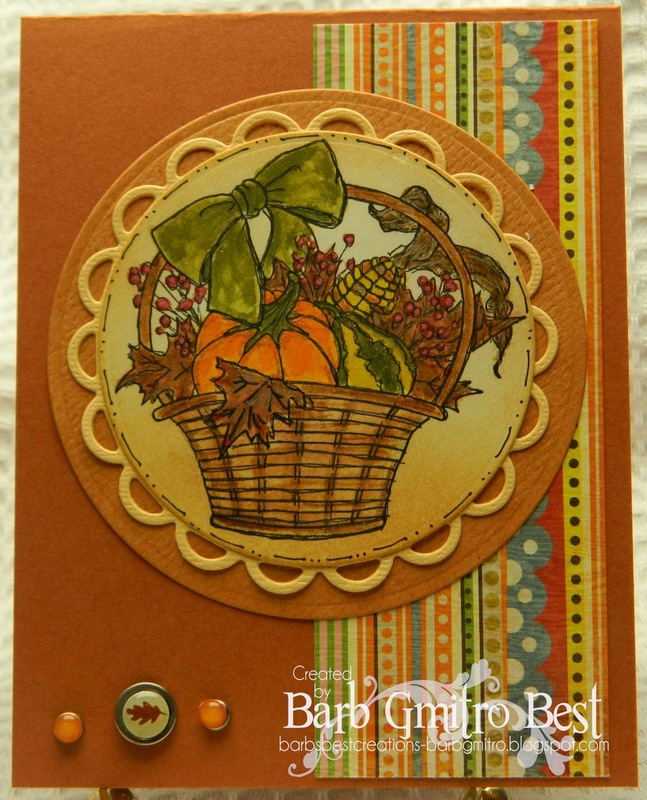 So have you made some Fall cards to give or send out yet? Today I want to love again show a stamp from the stamp shop Eureka! Stamps. 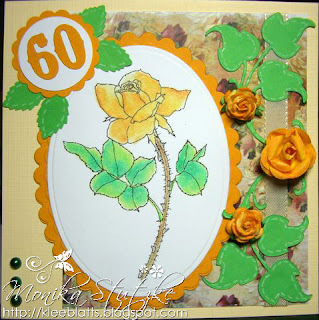 In the next week a friend of mine is 60 years old. Her favorite flowers are roses and so I made her a card with a rose. 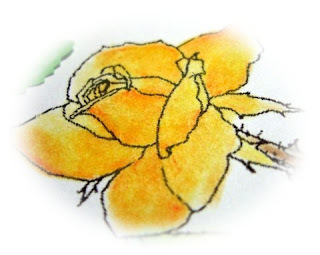 The stamps name is "Rose" and he is one of the fantastic stamps Tender Thougths. 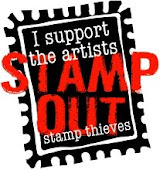 The stamps are there as well as digital and rubber stamp and they are all beautiful. 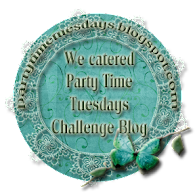 ...be sure to stop back here after you hop through all the blogs, and let us know what you think. Also check out the QKR Stampede store, and let us know what your favorite nature or animal themed stamp is! Sorry I'm posting so late today. Life just got away from me. Today I'm showing you one of the "Quirky" stamps that QKR Stampede has to offer. My Happy Place is where I got to do my scrapbooking. It's not just a place in my mind, it is a real place and if you live anywhere near me you should check it out. We have a wonderful creative time there. So let me tell you my story about this sign. There is a restroom down the hall for us to use. Always been there and always just us crafty people using it. Another group is using a room down the hall from our space and there are *gasp* men in the group who sometimes need to use the restroom. Now there is a separate urinal in there in a nice little stall, a nice curtain that pulls shut for privacy and everything. But apparently the men in this group find it necessary to use the toilet and of course, leave the seat up. Our fearless leader, Jen, talked to them and asked them to please put the seat down. Alas, they do not care to do so. Thus this sign! The image is "One of Those Days" (#10709) from QKR Stampede. When I saw that image I had to have it, but haven't had a chance to use it before. I think this was a wonderful use for it! Be sure to come back tomorrow, (Friday Sept. 16th), as we will have a fun blog hop going on with our design team! Scarecrow and Jack is one of the first images I picked when I joined QKR Stampede last year. I have used this image several times and never get tired of the image. I found this fun plaid paper in my scrap stash, can you believe I never used it? I added a piece of felt as a ribbon trim- and cut several leaves with my MS punches. 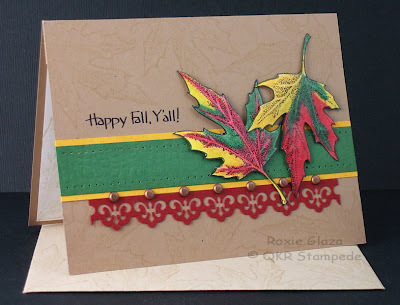 Happy Fall Y'all is a sentiment from Eureka Stamps,there are several sentiments available at QKR Stampede but I just liked the way this sentiment worked with the image. Did you know QKR Stampede has two other stamp companies available with various images? Hope you pop in and check out all the images available in rubber stamps and many in digital. This month our Eureka! Stamps Blog Hop had a fall theme, so I thought I would carry that theme on. This is one of the first Eureka! Stamps that I ordered. As soon as I saw it, it went onto my wish list. "Tree Losing Leaves" (#34502) image. I stamped the image with VersaMark, applied Sticky Powder, heated and then applied Gold Leaf. You can find a tutorial on this process here. I cut around the image and layered it onto some card stock from my scrap stash and then onto the black paper with gold stars. This then went onto a white card stock card base. Inside I used a the lovely "When I See" (#34902) greeting. I think this is such a beautiful and loving greeting! Layering it onto black card stock really makes it stand out. This 2nd card I used the same process and made it with blue card stock and layered it onto a white card stock base then cut around it giving the card a bit of a different look. Eureka! 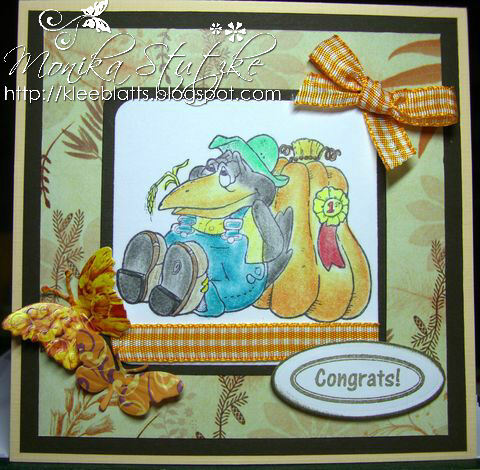 Stamps has many wonderful fall images to choose from. Whether it is for a birthday, encouragement, Thanksgiving card or whatever occasion, there are many lovely images to use. So hop on over to the Eureka! Stamps shop and see what you can find that you like. Thanks for stopping by today! Leave a comment if you like and come back soon to see more inspiration from our Design Team. Hi there! I hope you are having a nice start to your week this week. So far I am surviving. I officially have all 3 of the girls in school. It is a happy and sad event all at once. I am dealing with my "loneliness" by using my time to do projects! I have a whole big to do list of projects that have been neglected due to having small children in the house, and of course I will be doing some quality crafting...lol. Speaking of crafting, I wanted to share a project today using some wedding favors. We went to a wedding in late July, and the favors were coasters. So I thought it would be fun to make some fall themed coasters. Here is the set of 4 I made. I started by picking out some fall papers from CTMH set I have. I cut them to fit the little slide in spot on the back of the coaster. Then I used the Lg. Acorn stamp from Biblical Impressions. 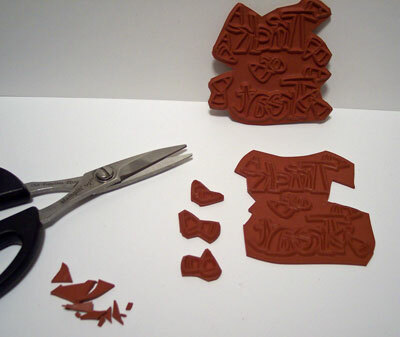 I stamped with Versamark, and embossed the acorn with copper embossing powder. Then I simply slide the papers into the back of the coasters. 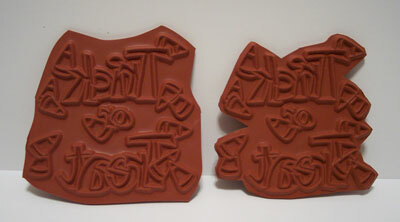 Here is a close up of the 2 different styles. Very simple, but what a fun fall decor item for the house. Well that is all for now. 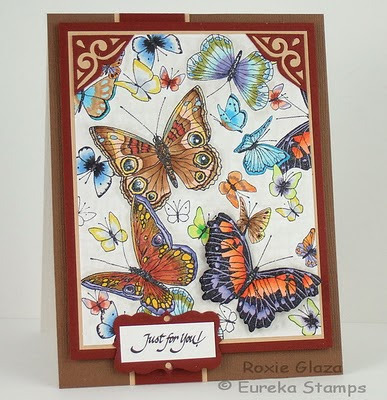 Be sure to check out the Eureka Stamps Blog hop from yesterday too! Trust me it is great! The weather in Germany can not decide, it is warm or cold. There are days when it only rains on the next the sun is shining and it is equal to extremely hot. But the way it looks, it goes to the fall, it is dark and early morning when I go to work, it is still dark. I like it when it is bright and warm. If it is wet outside, you have no conscience when sitting in the room and card tinkering. At today's card a little mouse, you can see who wants to take notes. Is not the little cute? The image is from shop QKR-Stampede. His name is "Taking Notes". You can buy it as rubber stamp or digi-stamp. Even the flowers are there at QKR-Stampede. Hello and Welcome to the Eureka Stamps Fall Blog Hop! Although fall hasn't officially started yet, it always seems to go hand in hand with school starting. 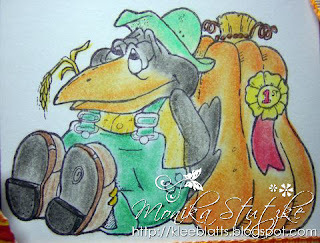 So today we are going to share with you some of the gorgeous and fun Fall stamps available in the Eureka Stamps Store. The official start time for this hop is 8am EST Monday 9/12. If you arrived a little early, please be patient as we get all the links and kinks worked out. 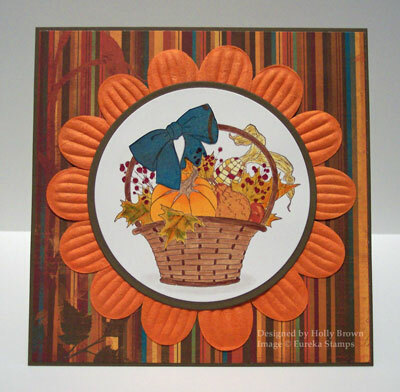 and see what fun fall themed project she has for you. If at any point in the hop you get "lost", just head right back here for the complete hop order (below). Don't forget to leave some "love" along the way. We enjoy reading your comments. ENJOY! HERE - to let us know what you liked on the hop! but Halloween will be here before you know it! 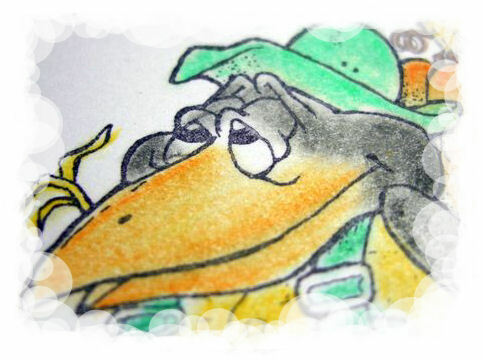 QKR Stampede has a bunch of really cute Halloween Stamps. This one is one of my favorites! It's never to early to get started on those Halloween cards. 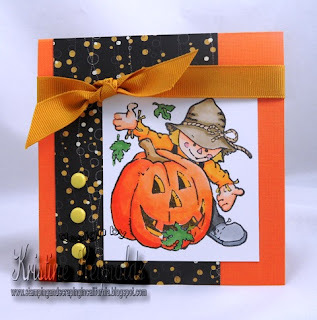 Lots of fun Halloween images in the QKR Stampede store so go check them out! 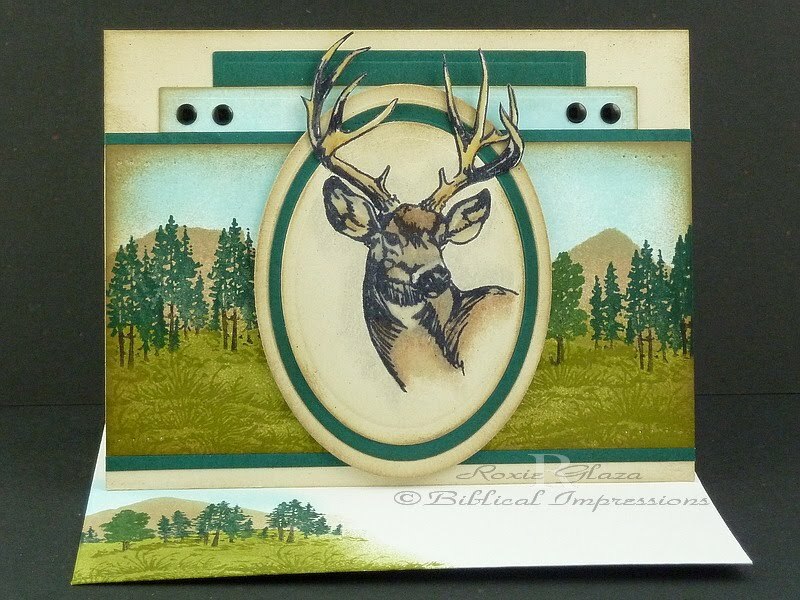 I wanted to share one of the regal deer iamges with you today from Biblical Impressions, this was a must have the minute I saw it and my son in law enjoyed this card for his birthday. 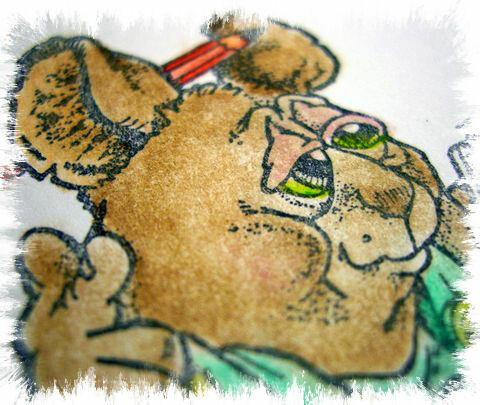 Prismacolor pencils, baby oil and paper stumps were used to color the image. The deer was inked up using a VersaMark pen and heat embossed with clear powder to give the antlers some stability. The scenery panel was created using torn edged paper for masking and sponging. Markers were used to ink up the trees for stamping. Ink distressing is done on all cardstock using a sponge. The nailheads are attached with Diamond Glaze. Paper piercing was done on the corners of the scenery panel. The deer panel is mounted on foam tape. 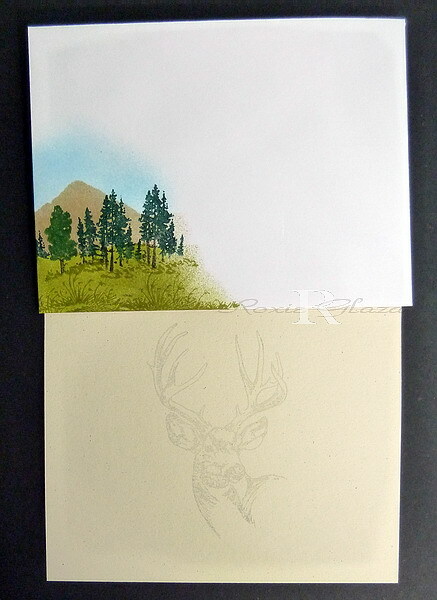 Inside the deer image was inked and stamped off on scarp paper then stamped on the card insert so a stamped sentiment or hand writing can easily be read over the image. I know ,we want to stay in Summer. I am not sure about your area but, we have had a very limited summer this year. 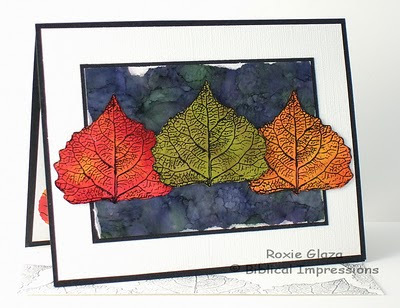 So I am getting ready for some FALL projects using Eureka Stamps this month. When I seen this image I knew I had to have it. There are so many possibilities with designs. Here is a close up of the dimension I added. Oak Leaf Wreath is the name of this beauty. Blessings sentiment seemed to work well with this design . 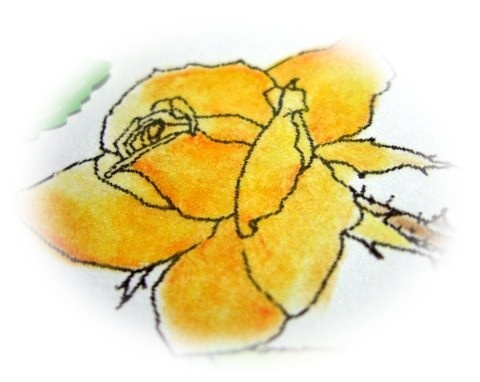 This is available in a rubber stamp or also a digital image if you prefer. Paper, card stock, ribbon from my stash. Gold Leaf, black hot glue & Make a Mold OH BOY!